Not to be confused with Demonstration (protest). 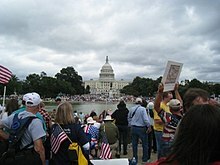 For other uses, see Protest (disambiguation). "Public outcry" redirects here. For other uses, see Outcry (disambiguation). 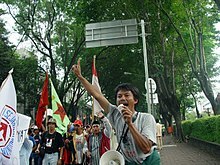 Wikimedia Commons has media related to Protests. Look up protest in Wiktionary, the free dictionary.